Call members of the Senate Appropriations Committee, even if they don’t represent your state. If a staff member taking your call suggests calling your own senators first, say that you have done so but that you also want to register your concerns with the other committee members. You can find a full list of committee members by clicking here. Sign and share our petition in support of the SAFE Act (H.R. 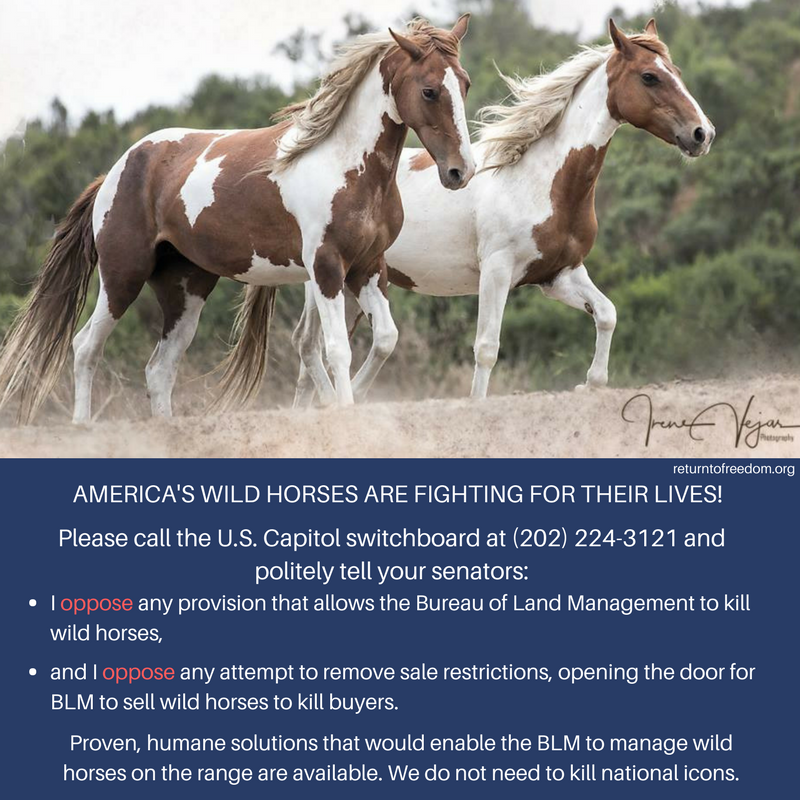 113), which would ban horse slaughter and the transportation of horses for slaughter. Donate to support RTF’s advocacy efforts.